Jeff Samardzija did not have his best heater and failed to break 92 MPH in either of his first two starts of the year. He lasted just 4 2/3 innings yesterday and did not look quite right. Thankfully, the Giants bats (remember them?) bailed their starting pitcher out with a variety of big hits from Steven Duggar, Connor Joe (You read that right) and Brandon Belt, who went deep again. 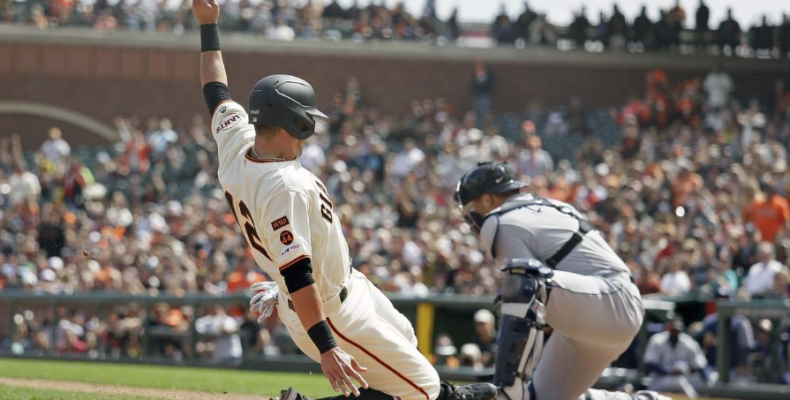 This was the type of game the Giants needed, something to build their confidence as a team that struggled desperately to score runs in the first eight games of the season. With the win the Giants improved their record to 3-6. The Rays employed an all-relief corps pitching staff for this game. They pioneered the no-starter thing last season and milked it quite successfully. Interestingly, the Tampa Bay manager was able to avoid plate appearances by deftly making pitching changes every 2-3 innings. While I don’t like this style of baseballing, I must applaud the innovative way the Rays were able to get position players up for every plate appearance. Of course, the thinking goes in baseball that your best pitchers are starters, or at least it used to be that way. Common sense would indicate that you do not want your entire bullpen pitching so frequently in a game from the beginning and on this beautiful San Francisco day, common sense won out with the Giants getting their best offensive production of the young season. Will Smith would get the save and Travis Bergen would get his first win as a Giant pitching one inning of relief. In all, the Giants pen pitched 4 1/3 innings allowing only one run and out-performing their brethren from the other (Tampa) Bay area. It was a satisfying win and a reminder of how the bats can sometimes pick up a leaky pitching performance. The rubber game of the series takes place today at Willie Mays Field. First pitch is at 4:05 PM with Drew Pomeranz starting on the mound for the San Franciscans against an as-yet unknown Tampa Bay pitcher.